Berkshire Landings Berkshire Lakes Condos: JUST LISTED IN BERKSHIRE LANDINGS. Once you personally experience these spectacular unobstructed southwest lake views you will want to make this your Naples residence! 2nd floor 3 BR/2 BA end unit condo with attached 1-car garage. Open floor plan with vaulted ceilings, updated kitchen and baths, flooring, ceiling fans, lighting and freshly painted interior with tasteful color palette. Porcelain tile flooring, upgraded carpeting, quartz counters, stainless steel appliances, new water heater and newer A/C system are just some of the impressive updates you will notice when you visit this property. Berkshire Landings has its own community pool and is just a short walk to the Berkshire Lakes Community Clubhouse with its own community pool, tennis courts, and fishing pier. Reasonable quarterly fees and a central location just minutes from Naples' finest beaches and world class shopping and dining. View the Virtual Tour for additional photos. Berkshire Landings Berkshire Lakes Condos: Spacious 3BD/2BA 2nd floor coach home with lake view and attached garage available in the desirable Berkshire Lakes community. This home features an open floor plan with vaulted ceilings.Tile throughout the main living area. The eat-in kitchen has granite counters, attractive white cabinets and newer stainless appliances. The master bedroom has two walk-in closets and access to the large lanai. The master bath has been very nicely remodeled. New light/fan fixtures throughout the home. The guest bath was also updated with new toilet, granite counters and new fixtures. Garage opener has also been recently replaced as well. Lots of storage available in the home. Great location just steps to the subdivision pool and a short walk by the large lake to the Berkshire Lakes community pool, clubhouse, fishing pier and tennis courts. Community is just a short drive from downtown Naples and beaches with many dining, shopping and entertainment options available. Berkshire Landings Berkshire Lakes Condos: C.15782 - A rare opportunity in Berkshire Landings! One of the largest Coach Homes in all of Berkshire Lakes, this 3 bedroom, 2 bath home with a garage boasts over 1700 square feet of living area. Meticulously maintained, and shows beautifully with 20” diagonal tile throughout, has an open and inviting floor plan with spacious vaulted ceilings. There are many things to enjoy about this home including a spacious eat-in kitchen, lots of storage,natural light throughout and a great room that transitions onto the tiled screened balcony overlooking the refreshing pool. The proximity to guest parking and the pool make this an ideal location! Berkshire Lakes is a very desirable, established community with excellent amenities and low fees. There is plenty of shopping and restaurants nearby and is just a short drive to downtown and the beaches . Coach Homes Berkshire Lakes Condos: Don’t let this gem get away! Come see this fantastic 3 Bedroom 2 Bath home located in the Coach Homes of Berkshire Lakes. This is a 1st floor end unit in a small lush community, with wall to wall full sliding doors in every room, looking out over a private yard of lush green foliage. Literally steps to an oversized pool and hot tub, this home has an updated kitchen with granite countertops and soft close cabinets, and plenty of storage and attached garage. Loads of natural light fill each room of the house, as well as golden Naples sunsets from your screened in lanai. AC Unit is 3 years new. Walking distance to Publix, Walgreens, Starbucks, banks and restaurants, and minutes from downtown Naples, famous 5th Avenue restaurants, shopping, art galleries, golf courses, and pristine white beaches. Make you appointment today and start living Pure Naples lifestyle. Coach Homes Berkshire Lakes Condos: 3 bed 2 Bath in Coach homes of Berkshire Lakes: beautiful 1st Floor Newly updated Condo boasts new kitchen w/ upgraded appliances & granite counters. The large master suite and 2nd large bedroom are located on opposite ends of condo for privacy. 3rd bedroom is at front of house - great floor plan ! Corner unit with garage and separate mud room /laundry room. Relax on your screened patio with ceiling fan outside master and living room. Brand new water heater. The residents of the 66 units have exclusive use of private pool & hot tub. Short walk to lake and Master Clubhouse w/ tennis or walk to Upscale shopping center with great restaurants & Publix - great location! Colonies Berkshire Lakes Condos: BEAUTIFULLY REMODELED SECOND FLOOR, FURNISHED, THREE BEDROOM, TWO FULL BATHROOM, END UNIT, WITH EXTRA SIDE WINDOWS IN A GREAT CENTRAL NAPLES LOCATION. OPEN VIEWS OF THE BEAUTIFUL COMMON WITH MATURE OAK TREES, THE POOLS, AND EVEN A PARTIAL LAKE VIEW. GREAT SMALL RESIDENTIAL COMPLEX WITH THREE POOLS, TENNIS COURTS, CLUBHOUSE, AND TWO BEAUTIFUL LAKES SURROUNDED BY WALKING, JOGGING, BIKING PATHS. WALKING DISTANCE TO SHOPPING, RESTURAUNTS, ENTERTAINMENT, AND EVERY SERVICE IMAGINABLE. OPEN GREATROOM WITH HIGH CATHEDRAL CEILINGS. REMODELED EAT IN KITCHEN WITH PANTRY AND PASS THROUGH BAR. WHITE CABINETS WITH GLEAMING QUARTZ COUNTERTOPS AND GLASS TILE BACKSPLASH. HIGHEND STAINLESS STEEL APPLIANCES. REMODELED GUEST BATH HAS CARRARA MARBLE COUNTERTOPS AND MATCHING TILE WITH NEW CUSTOM VANITY AND NEW CHROME FIXTURES. THIS CONDO HAS A BRAND NEW A/C SYSTEM, HOT WATER HEATER, WASHER AND DRYER. THIS IS ONLY ONE OF THREE AVAILABLE IN THE COMPLEX AND THE ONLY END UNIT WITH THREE BEDROOMS AND A NEWLY REBUILT CARPORT WITH TILE ROOF AND EXTRA STORAGE! PRICED FOR IMMEDIATE SALE. OWNER MAY LEASE BACK FOR UP TO SIX MONTHS IF THE BUYER DESIRES. Colonies Berkshire Lakes Condos: Two pets allowed, up to 50 pounds. Beautiful first floor two bedroom two bath Berkshire Lakes condo with view over 45 acre lake. Unit has high tray ceilings and arches throughout giving plenty of light and accentuating the spacious feeling throughout the split floor plan. The master bedroom has a roomy walk in closet and plenty nof bathroom counter space. Cozy kitchen has lots of cupboards, a large pantry and eating area. Screened in patio overlooks two pools,jacuzzi, covered gazebo and west facing sunsets for your pleasure. Beautiful trees and landscaping overlooks the lake and serene atmosphere. It is pet friendly and has low fees. The condo is lovely and great for entertaining. Short walk to Berkshire's clubhouse, fishing pier, larger pool, tennis court and Bike/jogging path. Clubhouse has social events and lots of activities. Berkshire Commons just 10 minutes away with Publix, Walgreens, and 5 different banks, First Watch Cafe, Beef O'Brady's, new Starbucks, 5 guys, many other businesses and a medical walk in clinic. Just a few miles to 5th Ave, Downtown, 3rd Street, pristine gulf beaches. Two Hospitals just a few miles from the condo. Call for your private showing today. Coach Homes Berkshire Lakes Condos: Gorgeous 2 Bedroom plus Den/ 2 Bath, End/ Corner Unit Condo in Berkshire Lakes. Open floor plan with large corner screened lanai. Beautifully updated kitchen with stainless steel appliances and granite countertops. Spacious master bedroom and master bath. Newer AC, hot water heater, and tile roof. Large one car, attached garage. Freshly painted and extremely clean condo, looks barely lived in. Large den can be used as a bedroom, but does not have a closet. Close to Coach Homes large pool and activity center. Berkshire Lakes has tennis, walking trails, community center, and many more amenities. Walking distance to supermarket, restaurants, pharmacy, etc. Close to I-75, beaches, 5th Ave, 3rd St, Pier, Downtown Naples. Newcastle Berkshire Lakes Condos: GORGEOUS 3 bedroom, 2 bath, second floor corner unit has been renovated from top to bottom and front to back. This unit has beautiful ceilings, new appliances and updated kitchen, new A/C, new hot water heater, updated bathrooms, wood flooring and special accent features in the master bedroom. Gas wall fireplace to be included in sale of Unit. The screened lanai offers a beautiful landscape setting. Assigned covered carport is close to unit entry. Just a short distance from downtown Naples, beaches, retail shopping, great dining, hospitals and I-75. Windsor Place Berkshire Lakes Condos: Welcome to Windsor Place! Nestled in the gracious Berkshire Lakes Community nestled around 7 lakes, this unit comes completely turnkey! 3 bed 2 bath condo with attached garage. End unit with cathedral ceilings offering plenty of natural light. Located on a quiet culde-sac near Berkshire's largest lake and a park like setting! CENTRALLY LOCATED - 5 miles from downtown 5th Avenue, home to famous SWFL Beach spots like Lowdermilk Beach. Conveniently located near other favorite local shopping/dining destinations like Mercato, Tin City, and more. Within walking distance to shopping including Starbucks, Publix, Walgreens, First Watch, Five Guys, and more. Community pool, tennis courts, fresh water fishing, and pet friendly walking/biking path around the lake. Preserve At The Shores Berkshire Lakes Condos: Lives like a Villa! This light and bright end-unit condo has no one above no one below. Attached garage, double-width paver driveway, screened lanai with electric shutters overlooking peaceful preserve. This is one of the few units with large preserve area next door for privacy. Built-in speakers in every room. Eat-in kitchen with window seat, separate dining room. Master en-suite, separate guest bedroom and bath at the other end of the unit. Den can serve as 3rd bedroom. Crown molding thoughout. Easy-to-use accordion shutters on all windows for protection and safety. The Shores is a popular gated community in central Naples convenient to everything. Across the street from Berkshire shopping center with Publix, pharmacy, Starbucks, restaurants, salons, and banks. The Shores has exceptional amenities, including a resort-style pool overlooking the lake, a clubhouse with large ballroom, fitness center, billiards room, card/hobby room, and library. Tennis, pickleball, bocce courts. Loads of activities year-round. It's all about lifestyle, and The Shores is a lifestyle community. New Waterford Berkshire Lakes Condos: Look no further, this condo has it ALL. This first floor, 3 bedroom, 2 bath, and 1 car garage end-unit has incredible southwestern views of the wide lake and walking/fishing bridge. There is an abundance of light being an end-unit model with a bright open kitchen with white cabinets and appliances. In addition, the windows have hurricane shutters for protection and security. If you love gardening, there is great space out front and current owners have a banana tree, pineapple plants, orchids, and many other plants. The New Waterford Community offers a large pool, tennis and pickle ball courts, and fishing bridge. Conveniently located near Berkshire Commons with plenty of restaurants to enjoy. Windsor Place Berkshire Lakes Condos: Great opportunity to own a Coach Home in Berkshire Lakes at beautiful Windsor Place ! This home has a very nice floor plan with a separate Dining room off the eat-in kitchen, and high-vaulted ceilings throughout, and a lovely water view from your Living room, Master bedroom and Lanai -- Attached garage, extra storage, and brand new Air Conditioning system and hot water heater add to the value --- Low maintenance fees too! Why pay rent any longer when you can own this wonderful property today!! Call today for more details. Newcastle Berkshire Lakes Condos: Remodeling just completed. All the work is done for you! Top of the line renovation. End Unit convenient 1st floor location. Brand New kitchen features stainless appliances, beautiful quartz countertops, new cabinets with pantry and lots of natural lighting. Room for small bistro setting in kitchen. Guest bedrooms, guest bath, large laundry room, and large Master Bedroom suite. Master bath has new vanity. 3rd bedroom or Den located off living area is perfect for TV room or office. Spacious condo - Freshly painted with neutral color, beautiful light colored plank look Porcelain Tile flooring and top of line low nap wool carpets in bedrooms. Enjoy your coffee on spacious lanai overlooking large landscaped yard and private park-like views of trees, pool just steps away, parking right near your private end unit. Berkshire Lakes is convenient to Publix, shopping, restaurants and I-75. Partridge Pointe Berkshire Lakes Condos: Move In Ready! This unique 2 Bedroom, 2 Bath, 1 car attached garage condo is located within Partridge Pointe of Berkshire Lakes. Located on the first floor, this end unit lives like a single family home with driveway and private walkway to the front door. Vaulted ceilings greet you the moment you walk in the front door along with a large set of sliding glass doors to the lanai and view of the community pool. Other fine appointments include an updated kitchen with stainless steel refrigerator and updated lighting, newer HVAC with Nest Thermostat, fresh paint, and more! 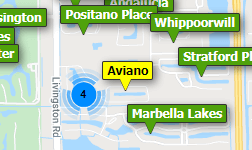 Berkshire Lakes is located just 5 min to I75, 10 min to 5th Ave/Downtown Naples, and 30 min to RSW Airport. Berkshire Lakes also offers "Berkshire Plaza" which includes a grocery store, restaurants, and shoppes. This condo is the perfect low maintenance property for someone either full or part-time! New Waterford Berkshire Lakes Condos: Are you looking for a ready to move in condo, conveniently located in Berkshire Lakes community? Come and see this beautiful second floor condo with 2 bedrooms and 2 baths. Kitchen recently remodeled with beautiful quartz countertops, also check Master bedroom with super nice walk-in closet. Come and enjoy this beautiful, ready to move in condo with beautiful views! Also Berkshire Lakes community offer a resort style pool, bike and jog paths, tennis, fishing pier and exercise room! Super great investment too as you can rent up to 3 times per year with a minimum of 30 days per lease. This unit is also one of the few that has ALL POLYBUTYLENE PIPES REMOVED and replaced with new pipes. Coach Homes Berkshire Lakes Condos: You will love this treehouse-like view, so peaceful and serene in this very well kept second-floor 2/2 plus den coach home in Berkshire Lakes. This unit offers volume ceilings, newer appliances with hot water tank and ac in great shape. Being sold partially furnished allows the new owner the convenience of moving in and making their own changes in time. This amazing location is walking or biking distance to the Berkshire Lakes shopping center, with a Publix and Walgreens and an assortment of restaurants. Not to mention just steps to a beautiful pool. Only 4.3 miles to beautiful town and the beaches make this affordable home worth putting on your list. New Waterford Berkshire Lakes Condos: Lovely 3 bedroom, 2 bath unit on the lake. Manual hurricane shutters. Easy first floor living with a detached garage. Berkshire Lakes offers miles of walking paths winding around lakes and throughout the community. Close to Publix and restaurants, and just a short drive to the beaches in Old Naples. Partridge Pointe Berkshire Lakes Condos: Location, location....Within the beautiful, sought after Berkshire Lakes complex. This Partridge Point unit is ready for an offer. Many updates; All new tile floors throughout installed 3/19, AC/HW, refrigerator and dryer. Vaulted ceilings give this living area a spacious feeling. Eight large lakes throughout the community and close to shopping/Publix, Starbucks and much more. New owner can not rent for the first year. Preserve At The Shores Berkshire Lakes Condos: This is beautiful 3 bedroom and 2 1/2 bath condo in The Preserve At The Shores gated community. Spacious kitchen and dining room. Attached garage with double-width paver driveway. Tile roof. Screened lanai. Water and sewer, basic cable, internet, exterior pest control, monitored security, landscaping and building maintenance and all recreational facilities included in monthly fees. The Shores is a lifestyle community. Amenities include a resort-style heated pool with lap lane overlooking beautiful 26-acre lake with fountain, clubhouse, library, fitness center, tennis courts, bocce court and playground. Activities include pickleball, water aerobics, yoga, bocce, bridge and other card games, mahjong and more. Several major social events each season with catered food and music for dancing. The Shores is convenient to shopping at Berkshire Commons with Publix, Starbucks, and several salons and restaurants. Short distances to beautiful Gulf beaches and downtown Naples attractions. Need professional assistance selling your property at Berkshire Lakes Naples? Find out how an Area Specialist can help to generate more property exposure in order to get the most money for your investment in the least amount of time.